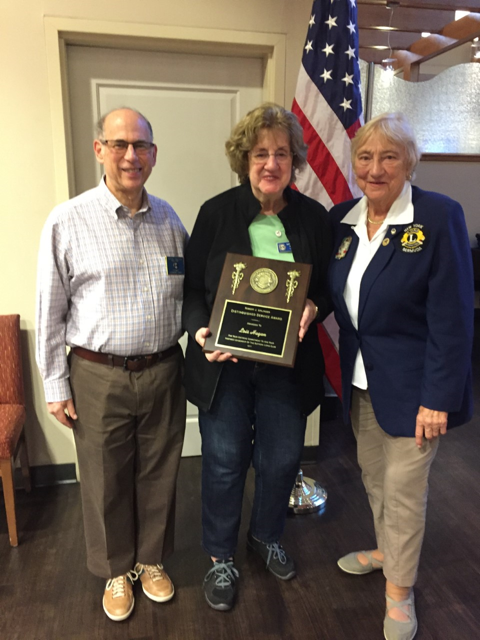 Suffern Lion Secretary Dr. Lenny Chiat, Lion President Lois Hagen and Past District Governor Maybelle Twohie display Robert J. Uplinger Award given to Lions and non-Lions who embody the ideals, ethics and objectives of international Lionism. On June 13 the Suffern Lions Club will host Taste of Suffern, a culinary event featuring food from many of the best restaurants in the village. The Suffern Lions Club will present A Taste of Suffern, June 13, 6 – 10 p.m. at the Suffern Community Center, 41 Washington Ave. The event will feature a culinary selection from popular village-area restaurants including Forgia, Hacienda, Marcello’s, Taqueria Americana, Jay’s Thai Kitchen, Plan B, Ice Factory, Chilitos, Curley’s, El Banquete, Finks BBQ, Priya Indian Cuisine and il Ponte. “A Taste Of” fundraiser events have been gaining popularity in villages and towns around Rockland County, following in the footsteps of the hugely successful annual A Taste of Rockland fundraiser for ARC of Rockland. 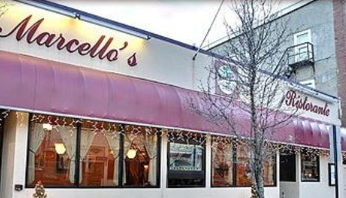 The variety of cuisine in Suffern arguably rivals that of any village or hamlet in Rockland County and June 13 is the chance for restaurateurs to get together and show off what’s on the menu in this western-Rockland village. Pre-ordered tickets are $30 per person, $25 for seniors and vets. Tickets at the door are $35. To buy tickets in advance visit one of the following locations in downtown Suffern: Licata Insurance, 96 Lafayette Ave., Mateo Communications, 49 Lafayette Ave. or State Farm Insurance, 99 Orange Turnpike; or call Jonathan Barnwell, RCC Veterans Affairs at 845-574-4105 or Lions Club President Lois Hagen 845-357-6079. All proceeds support Suffern Lions charitable programs.